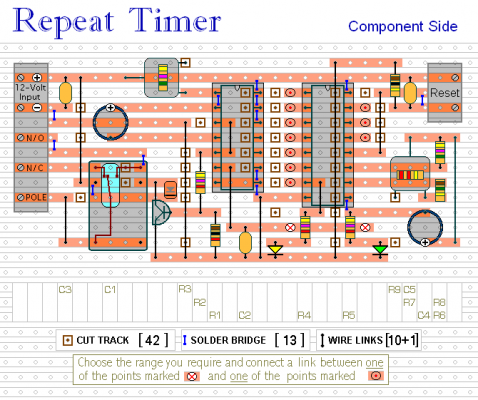 The output section is a simple Monostable Circuit . When Pin 6 of the Cmos 4001 is taken high - the monostable triggers - and the relay energizes. It will remain energized for a period of time set by C1 & R3. 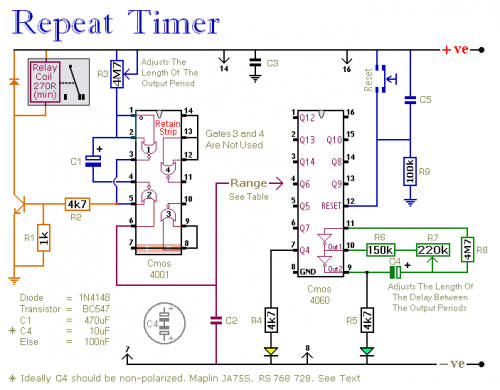 Although R4, R5 and the two LEDs help with the setup - they are not necessary to the operation of the timer. If you want to reduce the power consumption - disconnect them once you've completed the setup. If you want the LEDs to glow brighter - use brighter LEDs. 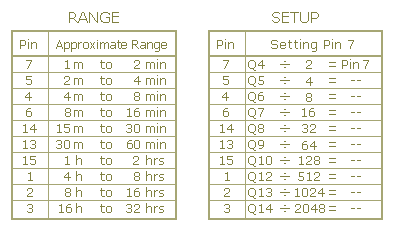 Don't be tempted to reduce the values of the series resistors - especially R5. If you reduce its value too far - the oscillator output will not operate the counter.